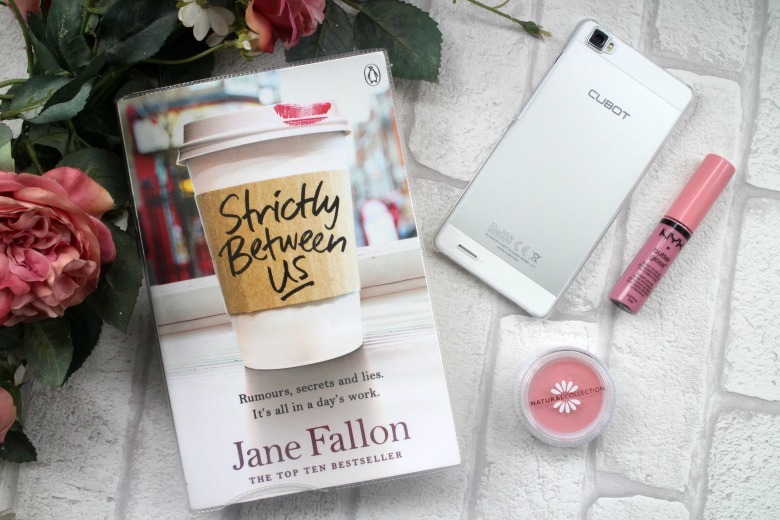 Strictly Between Us by Jane Fallon was a book I really enjoyed reading and polished off in a matter of days. I found it fell into a 'grown up chick lit' category with a somewhat sinister edge. So when Tamsin hears a rumour that Patrick is having an affair, she is furious. Unwilling to ignore it, Tamsin plots a scheme to catch Patrick in the act, using her assistant Bea as live-bait. It should be fool proof. After all, Tamsin can trust Bea with anything. From her daily coffee order to fetching her dry-cleaning, writing reports and doing all the filing - Bea does everything with a smile on her face. I enjoyed the way the story was shared, it felt like listening to a friend over a glass of wine telling the tale of someone they knew. 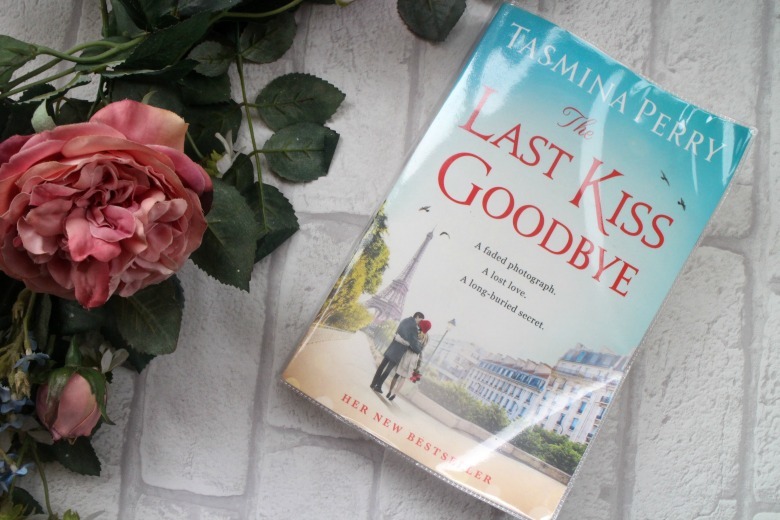 Tamsin was telling you the story, it was written as if it you were being spoke directly to and I almost wanted to ask questions and often found myself smiling or nodding and at the very least understanding how often curiosity can kill the cat. Tamsin was an intelligent successful woman but flawed and we all like to think we're not so naive until we find ourselves in a situation slapping our head against the wall. Some will naturally earmark the villains and one in particularly is extremely vile with no remorse for their actions whilst others are scrabbling around trying to protect themselves. It's interesting to see the workplace relationships unfolding and something I could relate to on some levels. This was the first book I'd read by Jane Fallon but I'll certainly be exploring some more. I was sent a beauty box from Boots last December but too much festive spirit prevented me from sharing the contents with you then. 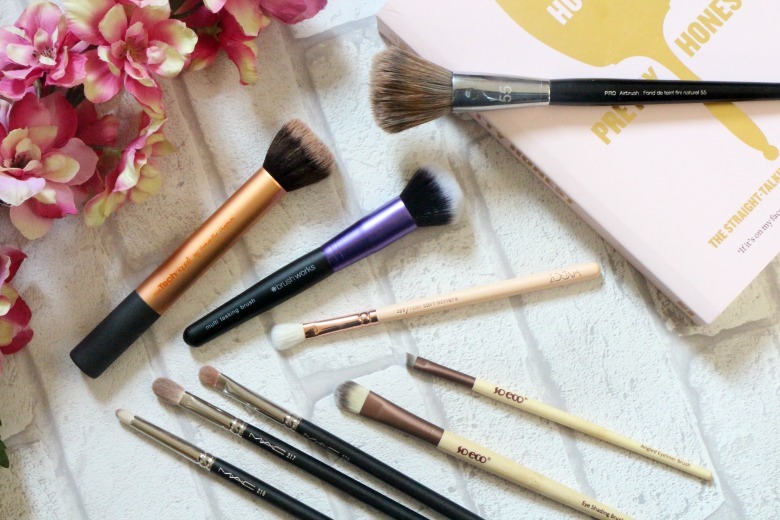 The products have still made up my beauty kit and Christmas isn't the only time we like to party so I thought it was still appropriate to share. Sleek Solstice Highlighting Palette* has come to the attention even more recently when Jaclyn Hill raved about it on her channel. 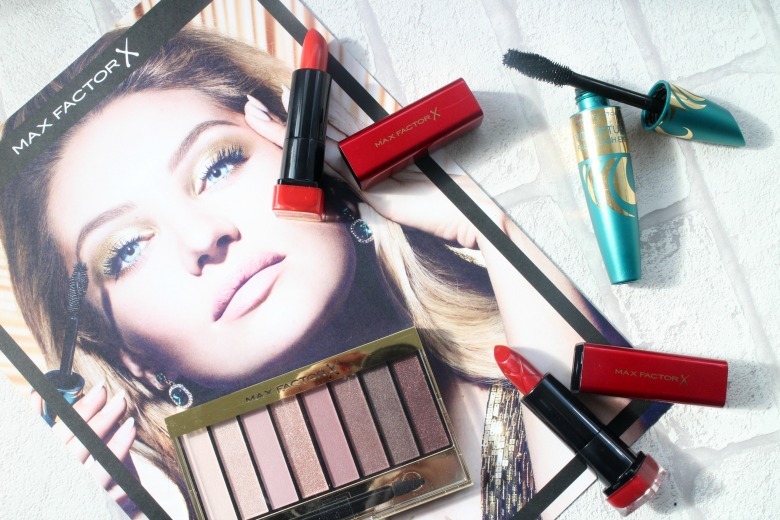 Unlike Sleeks usual black packing they've emphasised the 'highlighting' elements by using rose gold packaging, thus appealing to every blogger across the land. 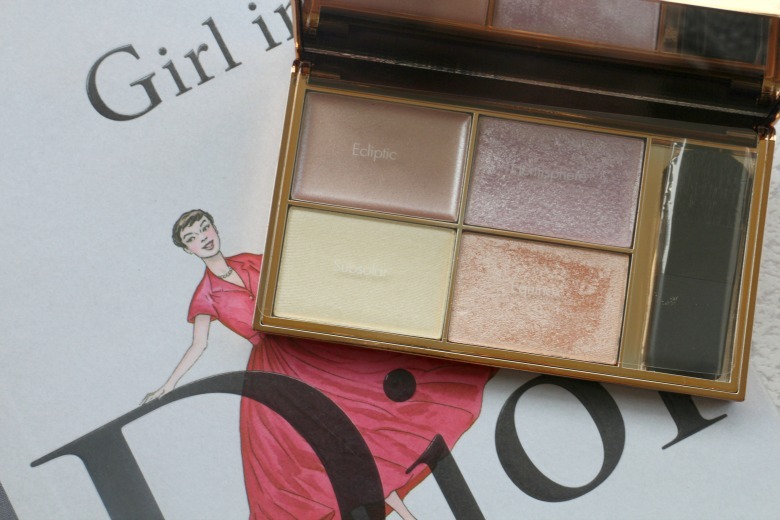 Inside the palette you will find four highlighting products; one cream and three powders, two of which are baked. The cream is Ecliptic, a shimmery rose beige and Hemisphere is a baked highlighter in lilac which gives a frosty finish. Subsolar is pale gold and finally is Equinox in a more peach tone. 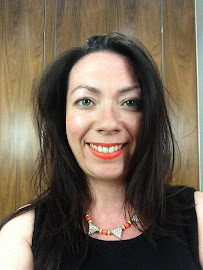 I find that I use Hemisphere the least and I like Subsolar for more of a blush to add some warmth to my skin but all shades can be used to that luminous sheen we're all looking for during Summer - especially when the sun isn't actually shining for us! 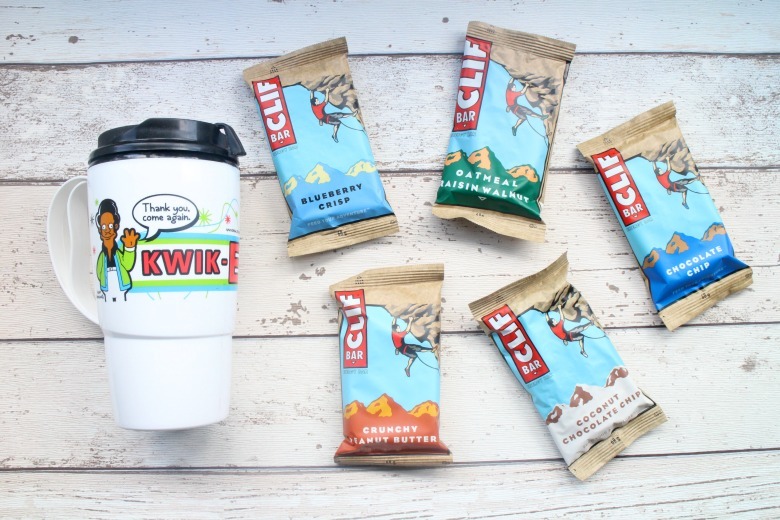 If you're off on your travels and trying to keep your products to a minimum this is perfect as it'll give you multiple options in Sleek (see what I did there!) packaging - and the mirror comes in handy too. 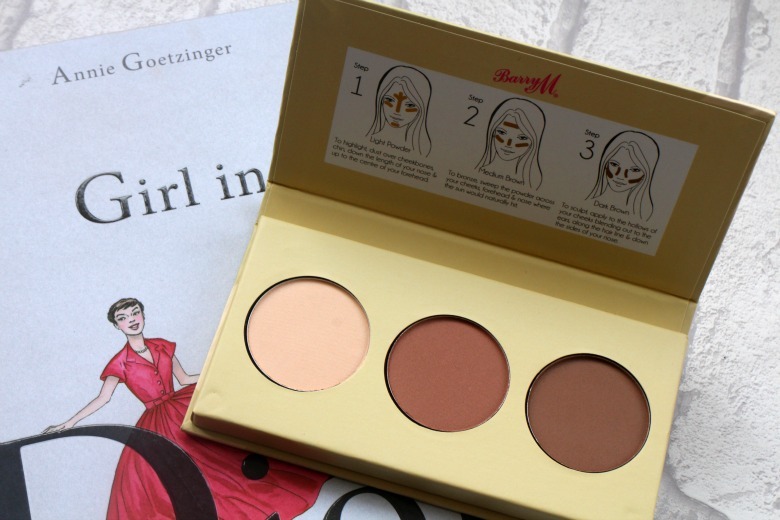 Barry M Chisel Cheeks Contour Kit* doesn't come in the fanciest of packaging but £6.49 isn't a bad price for the product inside. Three powders; a highlighter, and two shades of brown, medium and dark. 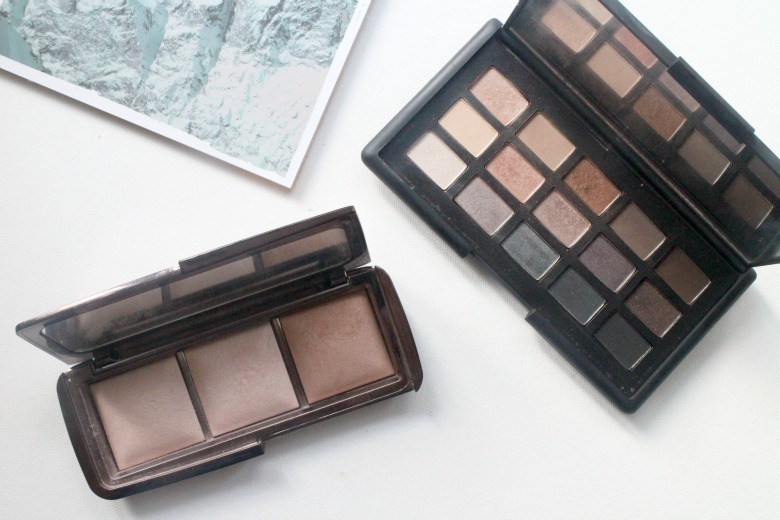 The highlighting shade isn't for me, especially when paired alongside the Sleek palette but the contour shades work well and actually blend quite nicely. 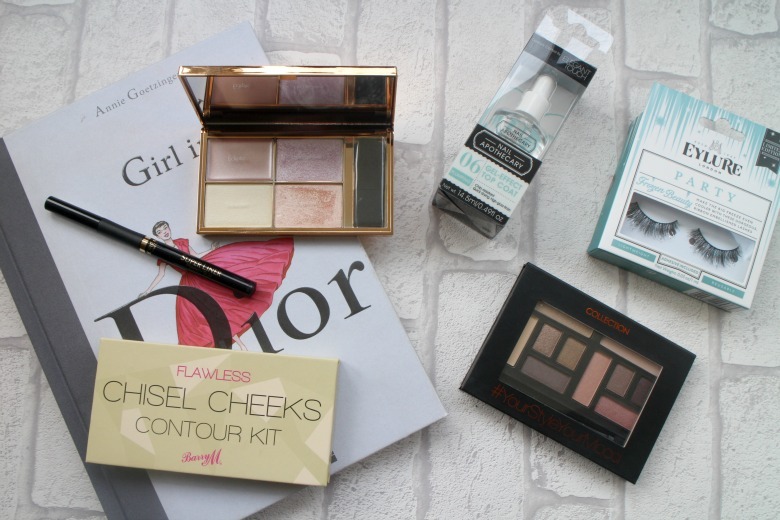 The high street is certainly upping their game where contouring is concerned. I tend to use the middle shade most frequently so whether I'd actually purchase this for just that one product is another matter. I had a great experience with the Collection Little Mix Eyeshadow palettes so it wasn't a surprise that the Collection #YouStyleYourMood Eyeshadow Palette* was a success also. 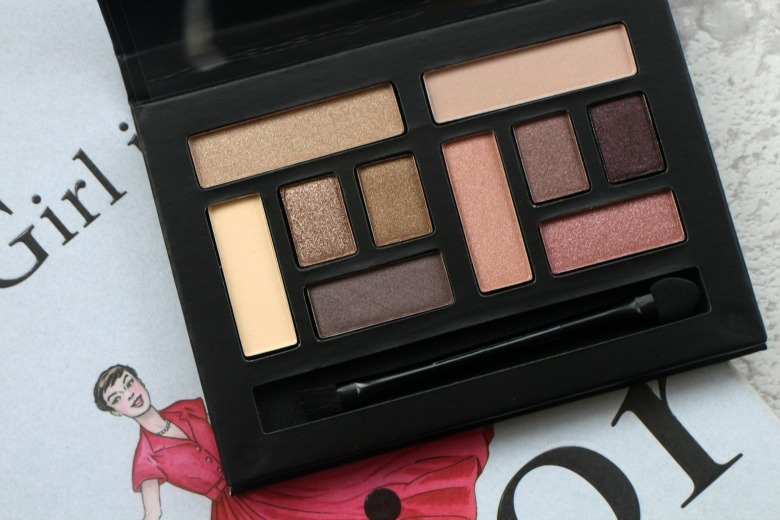 The price of eyeshadow palettes is sky rocketing it seems so it's great to find one under £10 on the high street. 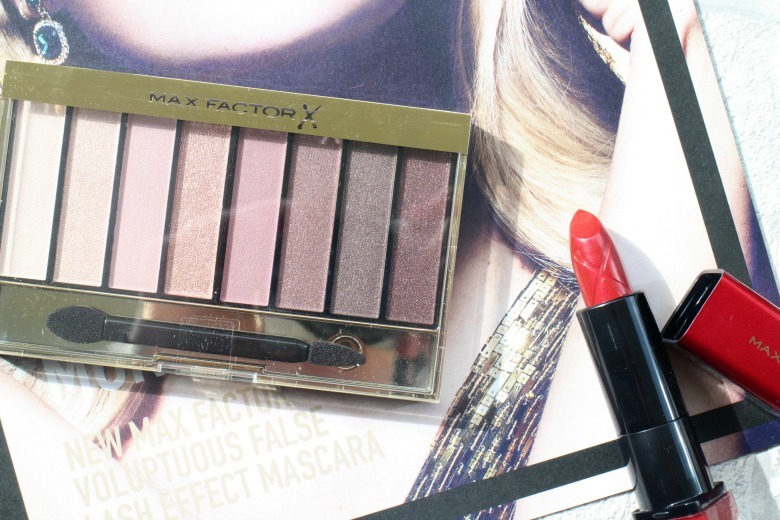 The only downside for me is the lack of mattes to use as transition shades and of course the packaging is a little blah but otherwise it's perfect for creating a number of looks. Unfortunately there was a disappointment in the Boots Beauty Box and that was the Nail Apothecary Gel Effect Top Coat by Elegant Touch*. Unfortunately I've found this doesn't give a glossy finish and if anything dulls the look of my polish. I also found the brush too long that it was fiddly to work with. On a positive note it did help with avoiding chipping and nails did last a good few days but the finish spoiled it for me. 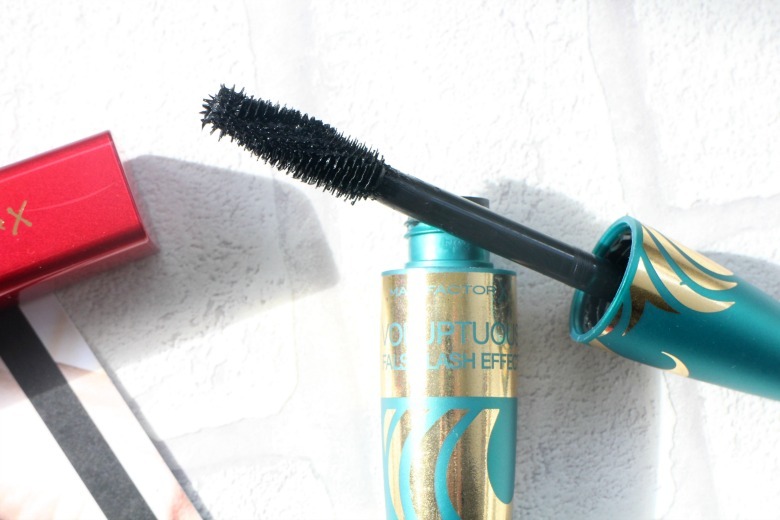 And the final product I haven't had an opportunity to use and they are limited edition so even you won't be able to try them out is the Eyelure Party Lashes Frozen Beauty*. These are amazing and I do hope that I will have an excuse and opportunity to wear them one day. Lashes interspersed with silver ribbons these are made for a special occasions. The joy of being a beauty blogger is always finding new products and ranges to test and try and one of those has been DHC, a Japanese skincare brand. I was sent DHC Beauty Lift Collection which is designed to hydrate and smooth your skin so you've left with a lifted appearance. Sounds good to me. To set your expectations this is a luxury skincare brand with the products I'm sharing today ranging from £34 - £41. The packaging meets the price points expectations has sat very nicely atop my dressing table. Starting with DHC Beauty Lift Lotion*, a hydrating lifting toner. This is an eye watering £34 for a product many consider to be fancy water. 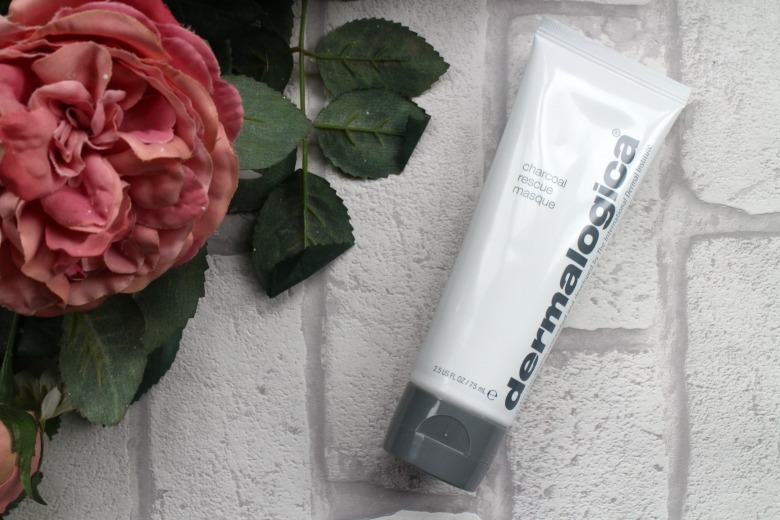 The price is somewhat justified in that it has a formula which will moisturise your skin and minimise fine lines and wrinkles thus giving you a smoother complexion. That said, and whether I'd pay to replace it, I really did enjoy using this and my skin has looked better for it in combination with the other products from the range. 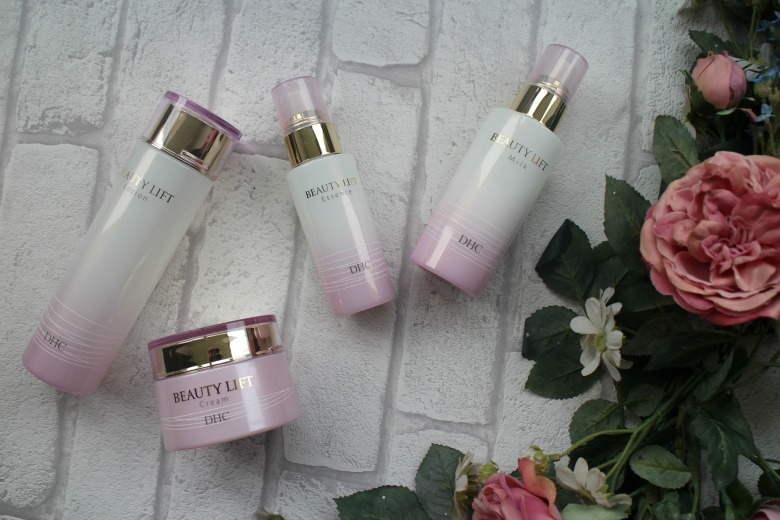 For just £1 more you can find the DHC Beauty Lift Essence* which is a 'silky soft lifting serum' and we are used to paying a little more serums. Promoting firm, lifted looking skin it's another unique formula to minimise those lines and wrinkles, you'll see a theme going here. It's typical 'serum' formula in that the pump dispenses a gel like formula which absorbs into the skin nicely ready for your next step. The next step in my morning routine was DHC Beauty Lift Milk* which contains pentapeptide-18 to help reduce the look of wrinkles and oat kernel extract to help sooth the skin. I found I was able to use this as my day moisturiser as the DHC Beauty Lift Intensive Lifting Cream* could be too rich for everyday use. 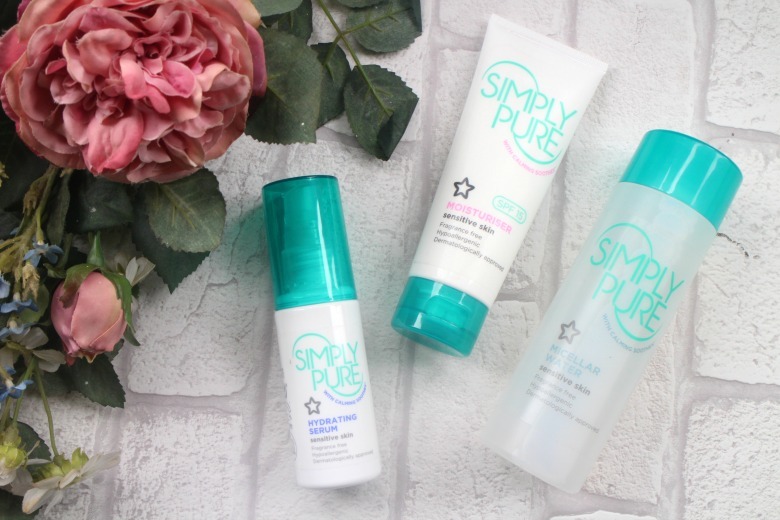 The latter once again ticks all the boxes for promoting that firmer skin and will deeply hydrate your skin so it's perfect if you've had a long day. It really does feel luxurious to apply, perfect for adding something special to your evening skincare regime. If you have very dry skin you'll love this. Overall my experience with DHC has been positive. 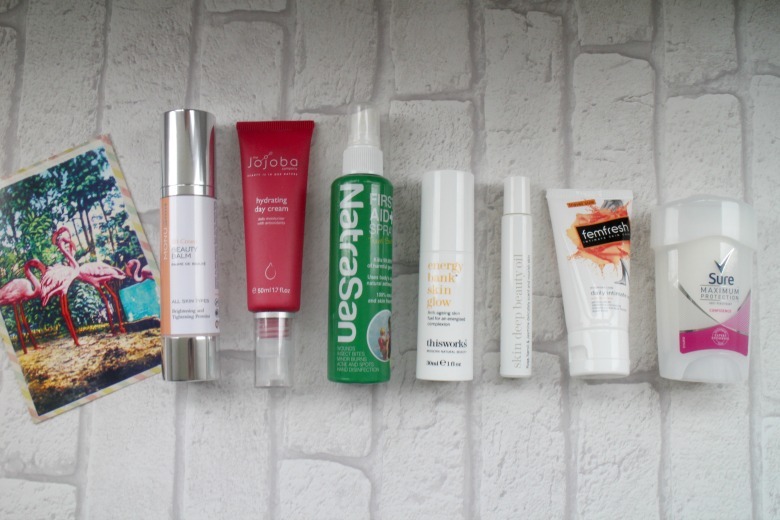 I've been using and testing a lot of skincare over the recent months (not all at the same time obviously!) and my skin is really thanking me for it. Dry patches that plagued me during winter have disappeared and despite being another year old I don't think I've too many additional lines and wrinkles to hide! Have you tried DHC products before? I'd love to hear your recommendations. I've talked before how my reading tastes are jumping all over the place these days. Whilst once I was a devoted 'chick lit' reader now I'm dabbling in dystopian worlds and journeying down darker paths. I still have a place for Rebecca Chance in my life. 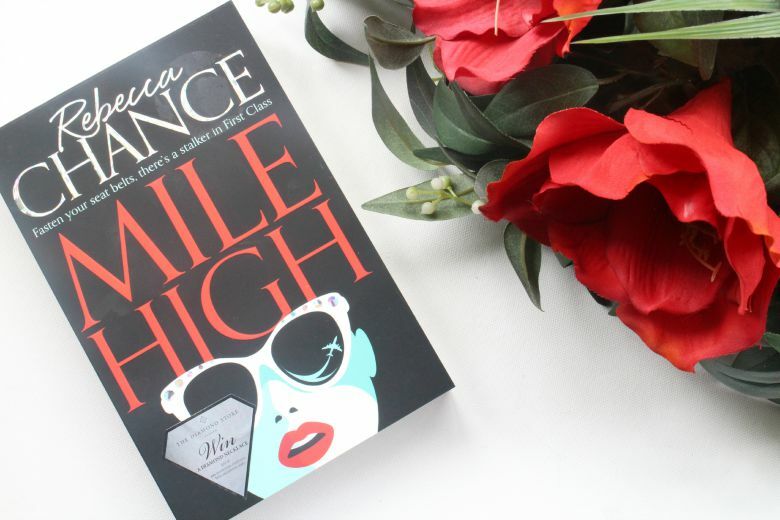 The books are perhaps tamer than your Jackie Collins novel but they still sit in that genre. was purchased rather than borrowed from my local library. Pure Air's new LuxeLiner is flying from London to LA - its inaugural journey - with a first class cabin packed with A-list celebrities. As the feuding crew compete to impress their famous passengers, the handsome pilot tries to win the attention of a pretty young stewardess. Whilst this isn't in dark thriller territory there are still twists and turns and whilst I thought I had the suspect nailed, I was wrong. It's not my favourite book from Rebecca and perhaps could've been better suited to a shorter novella. That said I was happy with my purchase, enjoyed the peek into how the 'other half flies' and will be looking out for the next release. If you're an iPhone user I'm sure you've smiled to yourself at the meme that does the round suggesting that an iPhone needs to be charged so frequently it's practically a landline. iPhone batteries are notoriously bad for holding any charge and with the current Snapchat trend ensuring batteries are drained are at an even more rapid rate when I headed to Florida earlier in the year a portable charger was something of a must have. I cannot tell you how many chargers I've had to buy over the years due to impromptu nights or similar when that moment of fear kicked in at 'low battery'. I had dabbled with a Juicy Cube charger which was useless. I would charge it, carry it around in my bag but every time I'd go to use it there would be no charge left in it. I'm not sure if I had a faulty one but it made me skeptical of other offerings. Taking to Twitter I had lot's of 'I'm interested to know this too' when I pleaded for recommendations but none were forthcoming. The one or two I found on my investigations seemed expensive and I wasn't sure I wanted, nor was it necessary to spend so much. As much as I've need chargers on my travels on a typical basis I'm stuck in an office so can easily charge up at my desk. I can't remember if it was a recommendation from someone or I stumbled across the EasyAcc Portable Charger on Amazon, nonetheless after reading the reviews it seemed liked the best option being both lightweight and affordable at less than £20. Departing for Florida in a matter of days I placed the order and hoped for the best. I'm pleased to report my gamble paid off and this charger saved many a low battery situation during my trip. I used my iPhone as a camera during my trip and found that for a full day I only had to recharge early afternoon and I could go the rest of the day. Plugging in to charge is simple using the yellow lead which is long enough to make holding both units easy but not too long you're tangled in wired. A Nokia / Blackberry charger is used for the Power Bank so it does mean two different plug socket chargers are required but it's a small price to pay. 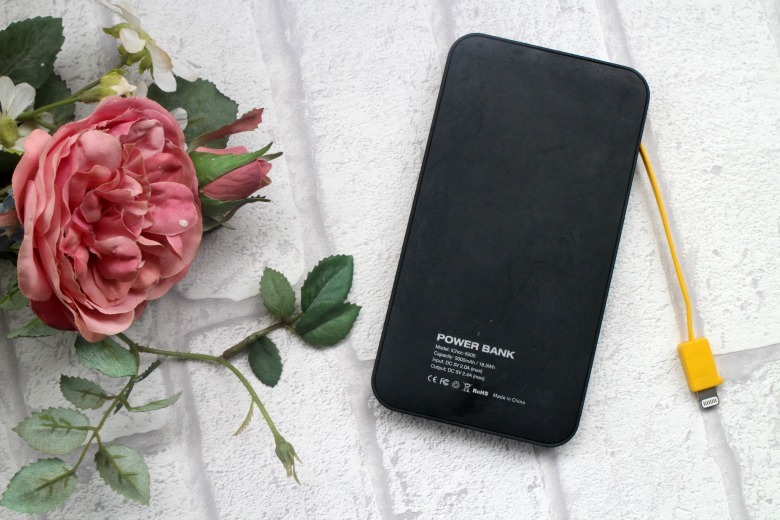 I now keep the Power Bank in my handbag at all times and it's saved many a low battery situation without having to hunt down a supermarket or similar and buy another charger. Dramatic, but it's been a life saver! PRO:VOKE are a hair brand I wasn't really familiar with until recently due to being a brunette but you might know them for their Touch of Silver range if you need to keep your blonde hair free from brassiness. 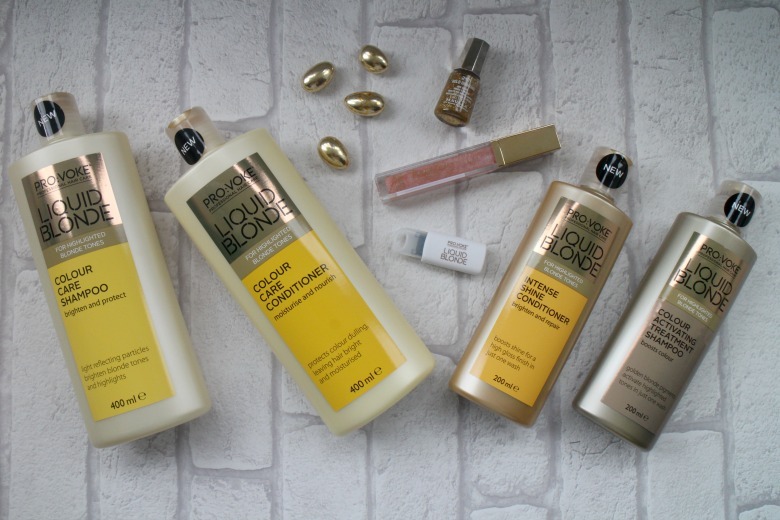 Recently I lightened my hair and it was timed rather nicely with the new release of the Liquid Blonde range designed to meet the needs of those of us with highlighted or multi-toned blonde hair. By using Liquid Blonde we can enhance the colour and prolong, what I'm discovering is very costly visits to the hairdresser. The first two products from the range are the Liquid Blonde Colour Activating Treatment Shampoo* and Liquid Blonde Intense Shine Conditioner* which are to be used once or twice a week to freshen your colour, with best results when you leave in for the advised 3 - 5 minutes. The shampoo contains Golden Blonde Pigments which tone and treat highlighted blonde shades. 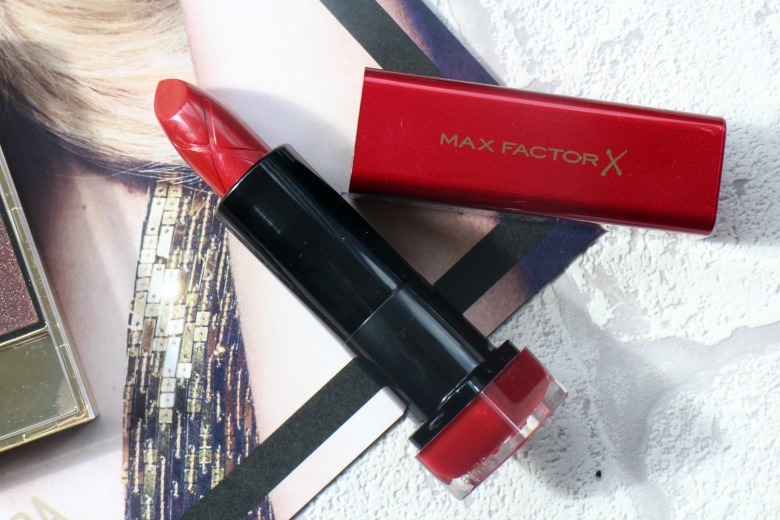 This is perfect to use before a big night out if you're looking to boost your colour. When using the conditioner ensure you apply a generous amount and your hair will be left glossy with shine as I'm realising that my colour treated hair can very quickly look dry or lackluster. I went to the salon for a touch up on my colour last weekend and the hairdresser even commented on how well my hair was reacting to the colour and it wasn't looking damaged so thank you Liquid Blonde. Do share how you look after your blonde hair, especially any tips for protecting it in the sun.